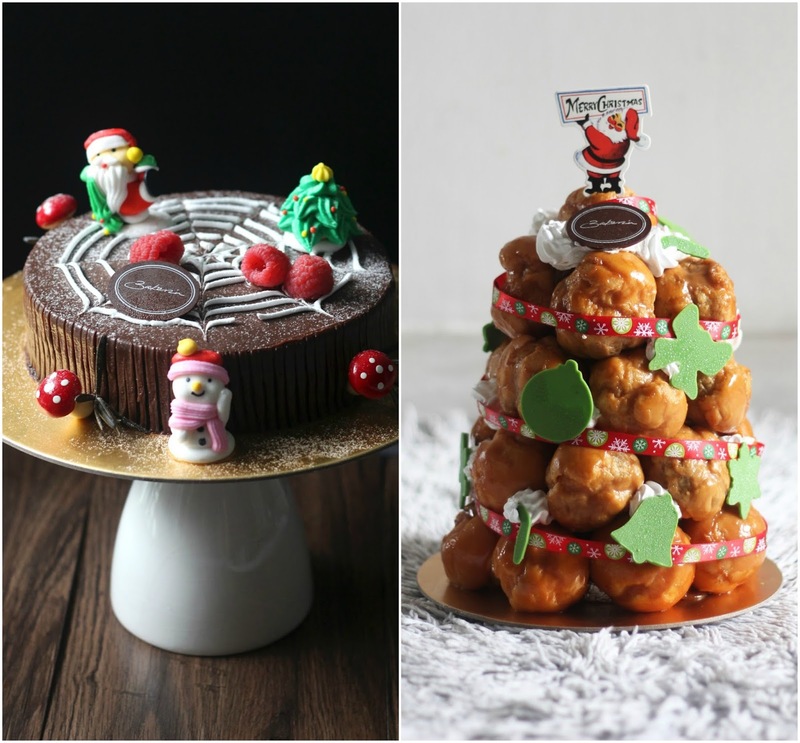 Bakerzin’s White Christmas Takeaway Menu 2016 | JACQSOWHAT: Food. Travel. Lifestyle. Christmas came early this year, with a spread of indulgence from Bakerzin. Available from 11 November 2016, you can enjoy a convenient yet sumptuous spread at home or at any Christmas Party. Bakerzin's take-home menu offers a variety of traditional savoury, sweet treats as well as festive feast packages. Everything comes conveniently packed. This year, I had the privilege to try 4 items from the Christmas takeaway menu. If you are considering to get a savoury treat, I would recommend to go for the Roast Cajun Capon $36 (2kg). I was pleasantly surprise that the meat is packed with such intense flavour from the marination, while it is infused with a taste of sweetness from the vegetable stuffing in the roast. Other savoury options are Shepherd's Pie and Pineapple Glazed Gammon Ham. 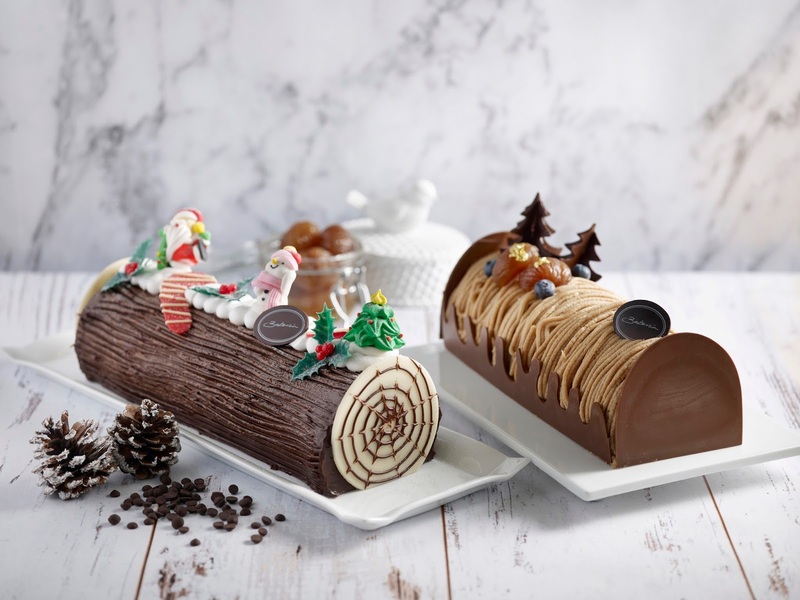 The limited edition Chestnut Mont Blanc $58 (1.1kg) is one of the newest log cake flavour. With a layer of chestnut cream vermicelli atop a light chestnut praline mousse. With the Almond Dacquoise as the base, and vanilla custard cream and blueberries from within, you can expect a light crisp and a nutty aftertaste. Here are some of Bakerzin's newer dessert options, such as the Chocolate Stump De Noel $42. This is definitely for the chocolate lovers, the light chiffon chocolate sponge cake is layered with rich valrhona chocolate mousse and together some crunch within. While the Croquembouche $22.80 is a sweet pyramid desserts of 27 mini choux pastries, stacked like a Christmas tree. It is available in Vanilla custard or Coffee cream flavour, each choux pastry is then glazed with a coating of homemade butterscotch. Bakerzin’s Enchanting White Christmas Takeaway menu will be available from 11 November 2016 to 2 January 2017. Available for online orders at www.bakerzin.com, and Bakerzin outlets in Singapore. HSBC and DBS/POSB Card Members enjoy 15% discount, SAFRA and Passion Card Members enjoy 10% discount (on top of the early bird discount). *This post is brought to you by Bakerzin Singapore.